Mr. McKee has served as a Judicial Staff Attorney for two Family Court Judges since 2014. He first served as a Judicial Staff Attorney for a Family Court Judge in Lexington, Kentucky and then for a Family Court Judge in Louisville, Kentucky. He is the first person to serve as a Judicial Staff Attorney in both Lexington and Louisville. Mr. McKee has been appointed to serve as a Parent’s Attorney and Guardian Ad Litem (G.A.L.) for a Family Court Judge in Lexington and a Family Court Judge in Louisville. Mr. McKee travels and practices law throughout Kentucky. Every Kentucky citizen is entitled to competent representation. Mr. McKee is a zealous advocate for equality and fairness. He knows the Judicial process and brings practical court room experience to the firm. 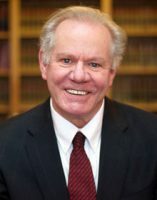 Prior to accepting his first position as a Judicial Staff Attorney, Mr. McKee was employed at a firm that specialized in Bankruptcy. Our firm therefore specializes in Chapter 7 and Chapter 13 bankruptcies. Everyone is entitled to fresh start. We know sometimes things happen in life and that is normal. If you need a fresh start financially call us today and let us help. 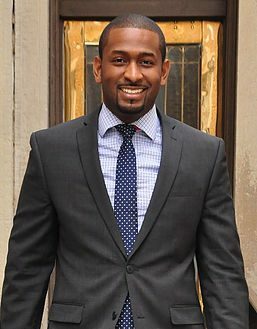 Mr. McKee graduated from the University of Louisville Brandeis School of Law in 2014. While in law school Mr. McKee was one of three students to participate in the Case Project, representing victims of domestic violence in custody and visitation actions. Mr. McKee’s experience and credentials is what makes him an excellent attorney. He is also an unmarried father who shares equal parenting time and joint custody of his son. He understands and can relate to you on a personal level. He knows just how serious and personal your issues are. Mr. McKee’s professional and personal experience gives him unprecedented knowledge and perspective, which sets him apart.